This is the sixth edition of the leading work on transnational and comparative commercial and financial law, covering a wide range of complex topics in the modern law of international commerce, finance and trade. As a guide for students and practitioners it has proven to be unrivaled. The work is divided into three volumes, each of which can be used independently or as part of the complete work. Volume one covers the roots and foundations of private law; the different orientations and structure of civil and common law; the concept, forces, and theoretical basis of the transnationalisation of the law in the professional sphere; the autonomous sources of the new law merchant or modern lex mercatoria, its largely finance-driven impulses; and its relationship to domestic public policy and public order requirements. 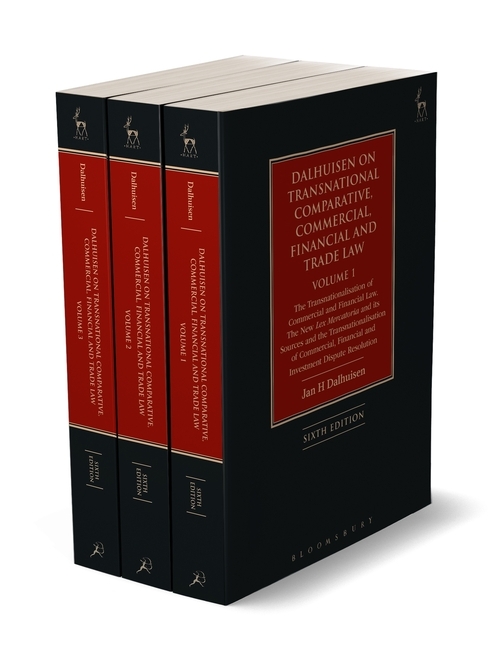 Volume two deals with transnational contract, movable and intangible property law. Volume three deals with financial products and financial services, with the structure and operation of modern commercial and investment banks, and with financial risk, stability and regulation, including the fall-out from the recent financial crisis and regulatory responses in the US and Europe. All three volumes may be purchased separately or as part of this set.